“A Moment Like This” ~ the prequel novella to the fifth installment of The Grace Series, “Raising Attabury” finds Derek and Jaycee West newly married, Caleb and Rachel heading down the aisle, Luke and Sage caught up helping their friends plan their extra-special day, and new-comers Eric and Dani Richardson straddling real life and what to do with the Attabury house. 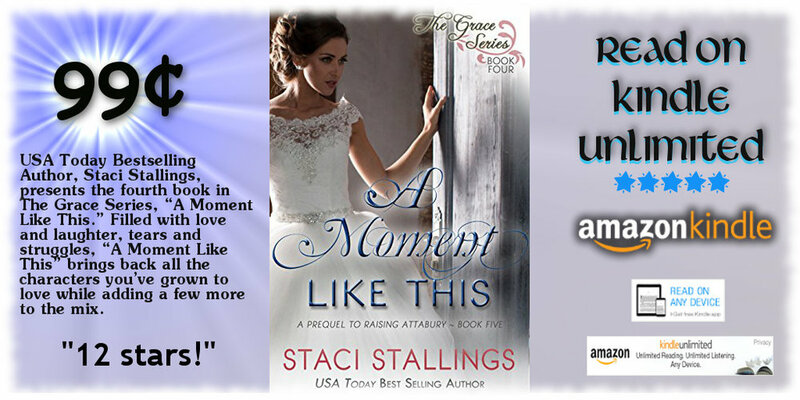 USA Today Bestselling Author, Staci Stallings, presents the fourth book in The Grace Series, “A Moment Like This.” Filled with love and laughter, tears and struggles, “A Moment Like This” brings back all the characters you’ve grown to love while adding a few more to the mix. 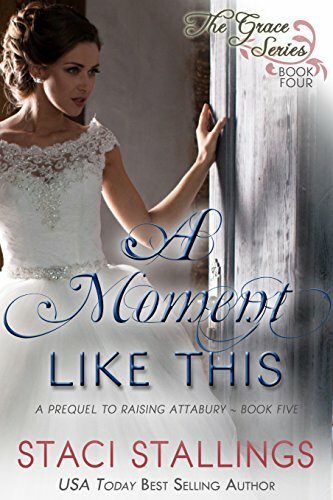 A prequel novella to The Grace Series finale book, “Raising Attabury,” “A Moment Like This” creates a heart-warming bridge from the first three books in the series to the final installment. So sit back and enjoy another visit to Ridgemount where love always wins and life lessons are never in short supply.